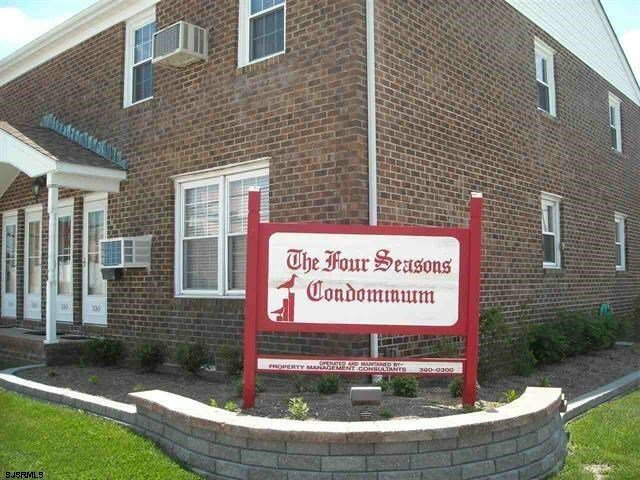 Are you looking for Four Seasons condos for sale in Ocean City NJ? The Four Seasons built in 1968 is located at 35th and Simpson Ave in Ocean City NJ. There are 112 units consisting of one and two bedrooms with one bath. Laundromat, storage facility and other amenities included. Pets are allowed. Perfect as a primary residence or vacation rental. Centrally located for easy access on and off the island making it conveniently close to the beach or boardwalk. Only a few miles from beautiful Corson's Inlet State Park. Blitz's Market, Randazzo's Pizza and Acme all within walking distance. Quite location close to the bay meadows. Great opportunity to own a piece of Ocean City.